After last week’s heatwave, I hope you enjoyed this weekend’s beautiful weather. On Wednesday at 8 a.m. and 6 p.m. in the Lincoln School library, Dr. Carlos Hoyt will facilitate two community events around Race, Equity, and Inclusion at Lincoln. Parents/guardians should select the time that is best for them. Pizza and babysitting will be provided at the evening event. I’m looking forward to these thought provoking conversations. Eileen Ford joined us this year as a fourth grade classroom teacher. During this year, Ms. Ford has built strong relationships with students, colleagues, and families. I’m thrilled that she will continue as part of our team next year and maintain those relationships as a fifth grade classroom teacher. Alejandra Munoz joined the Lincoln staff this year, teaching second grade during Ms. Gomes’ one-year leave. I’m thrilled that Ms. Munoz will continue on with us as our 6th and 7th grade Science teacher, filling the role that Sarah Rund will leave behind at the end of the year. In this role, Ms. Munoz will build on her experience prior to Lincoln as the 3-5 STEM specialist with the Manchester, CT public schools. 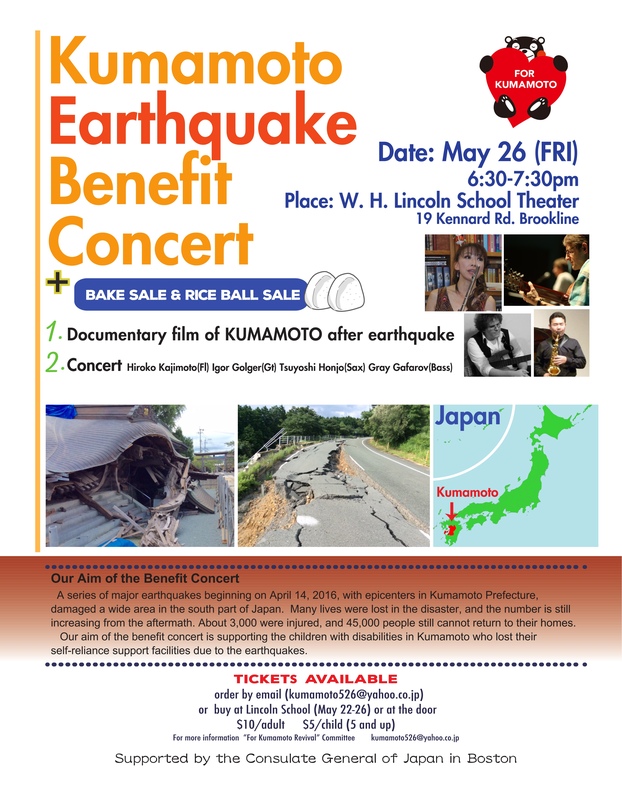 Bake Sale and Rice Ball Sale before the concert. Tickets will be on sale at Lincoln school the mornings of May 22-26 and after school of May 24 & 26 as well as on the night of the concert. Donations accepted during this week. We are happy to announce that Wendy Ames, Julie Lacy and Holly Reil will be Co-Presidents of the PTO next year. Sarah Johnson-Weingart and Sara Scott will be joining on as board members at-large. We are grateful that Kathryn McHugh, Stuart Marquis and Belinda Hsu will be continuing on as treasurer and board members at-large, respectively. The 2017/2018 PTO board was voted in at the last PTO Community Conversation on 5/17. We are still looking for a secretary, a co-treasurer and one more board member at-large. Please contact the PTO at whlpto@gmail.com. Would you like to participate more directly in helping to identify Lincoln School goals and assist in creating the annual school improvement plan? Run for a seat on the Lincoln School Advisory Council! LSAC parent members commit to monthly meetings with the principal and faculty representatives and serve a two-year term. There are 3 parent seats vacant for the upcoming term. To run, please contact the PTO at whlpto@gmail.com and provide your name, the grade(s) of your child(ren) and a brief statement about your background and your interest in serving on the Lincoln School Advisory Council that will be used on the ballot. Please submit your name and information for the ballot by Friday, June 2nd. PLEASE turn in Order Forms for 8th Grade yearbooks no later than this Monday, May 22nd. PRESIDENT JOHN F. KENNEDY, The Pride of Brookline, 100TH Birthday!! The BHS Fall Cheer team will be holding tryouts for this upcoming fall on June 14th-15th in Tappan Gym #2 from 4-6pm. We will have a special Conflict Tryout on Monday June 12th 3:30-5:30pm in Tappan Gym #2 for Lincoln School 8th graders and any others that have a conflict with the regular tryout dates. There will be a post-tryout Parents Meeting on Thursday June 15th from 6:30-7:30pm. To be cleared to tryout, your student must be registered on FamilyID and submit a recent copy of a physical to the BHS Athletics Dept. No experience is necessary to tryout, and all incoming 9th graders are invited to try out for our co-ed team! Email Meaghan_Cells@psbma.org with questions or for more information. Welcome to BHS, and Go Warriors!